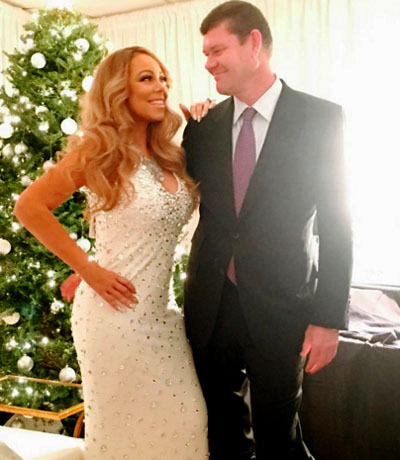 Mariah Carey's colossal 35-carat diamond engagement ring from Aussie billionaire James Packer sets a new standard for Hollywood bling. Worth an estimated $7.5 million, the ring's emerald-cut diamond center stone is more than twice the weight of the 17-carat emerald-cut pink diamond she received from former husband Nick Cannon in 2008. Packer popped the question to Carey in New York City this past Thursday. The diamond, which is surrounded by tapered baguettes in a platinum setting, outweighs the most famous celebrity engagement rings of all time. 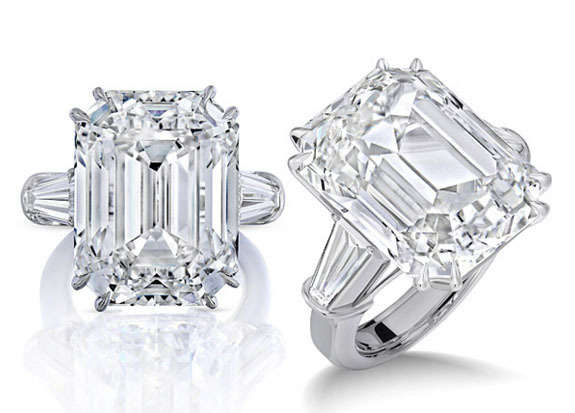 These include the 30-carat diamond Elizabeth Taylor received from Michael Todd in 1957, the 24-carat canary yellow diamond Paris Hilton accepted from Paris Latsis in 2005, the 20.5-carat solitaire Kim Kardashian got from Kris Humphries in 2011, the 20-carat diamond Christina Aguilera received from Jordan Bratman in 2005, the 18-carat diamond Beyoncé got from Jay-Z in 2007 and the 15-carat gem Kardashian accepted from Kanye West in 2013. 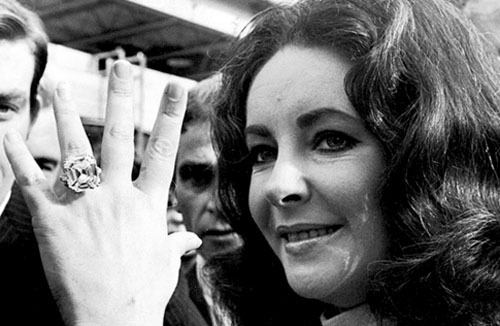 And since we're talking about some of the largest celebrity rings of all time, we'd be remiss if we didn't acknowledge the late Richard Burton, who purchased the 33.19-carat Krupp Diamond for his then-wife Taylor in 1968. The Krupp wasn't an engagement ring; Burton said he bought it because "it was Tuesday." Burton paid $305,000 for the Harry Winston ring and Taylor referred to it as her "baby." In retrospect, the diamond was a relative bargain, because the price paid in 1968 is equivalent to $2.1 million in today's dollars. Celebrity jeweler Wilfredo Rosado, a friend of Carey's for more than 25 years, claims he worked 12-hour days for two weeks to create Carey's sparkler — a ring that would represent "new beginnings." The designer reportedly took into account what he knew to be the singer's personal tastes as well as Packer's specific requests. He chose to use tapered baguettes to accent the large emerald-cut center stone to give the ring a "balanced look." Among Rosado's high-profile clients are Julia Roberts, Rihanna and Olivia Wilde. The 48-year-old Packer, who is said to be the fourth-wealthiest man in Australia, is a businessman, investor and philanthropist. He and the 45-year-old Carey met about a year ago and have been inseparable ever since, according to published reports. Credits: Jewelry shot courtesy of Wilfred Rosado; Instagram/MariahCarey; Elizabeth Taylor uncredited.